Neil the Northern Irishman always wore a green cap. 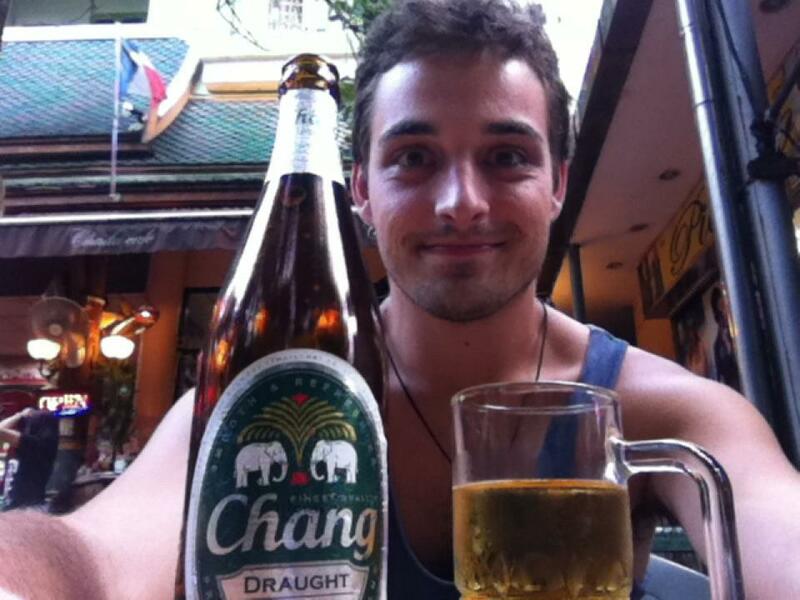 He boarded the minibus, with a clinking plastic bag bulging with Chang beer bottles, and a toothy grin on his face. It was 9am. He excitedly introduced himself to Cindy, myself, and the driver in his thick Irish drawl. These three days could be pretty entertaining, I thought to myself. He cracked a beer, took a seat, and starting running through his plans for Laos. We were beginning our transit from Chiang Mai in Thailand’s far north, through Laotian border control, ending in Luang Prabang, Laos. A well-known pilgrimage for the adventurous (or budget-conscious) backpacker who wants to do the border crossing the scenic way. We chose the three day slow boat, the cheapest, and, my god, the slowest way to do this crossing. What is this place, the infamous Khao San Road? And more importantly, why did you end up here, even if you didn’t mean to? Basically, it’s everything that a party-oriented backpacker loves about Thailand, distilled and westernised and easily accessible. It has food, accommodation, and drinking, without the hassle of having to navigate the mighty urban labyrinth (and it is a labyrinth!) that is Bangkok. It’s a party street, without the red-light-districtness of Soi Cowboy.